For the past few days I had been busy looking for an app that could help me do away with that old, boring Android robot from my HTC, yes I own a android too along with my iPhone. I found a new app, running in its first version and I got my hands on it. So lets have a look at it here. RingSkin can customize the Android call screen and put an end to those annoying spam calls. 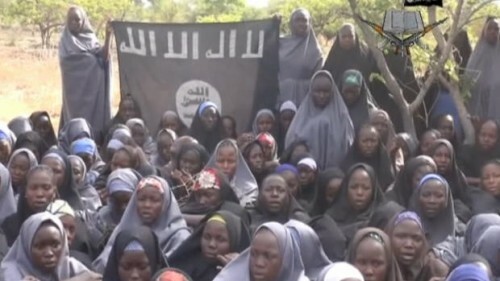 It lets users make full use of the image galleries and the camera, so that they can receive calls in the way they want. With some impressive images and animation skins, this app allows users to spice things up by adding decorations to them. Apart from these default animations and decorations, users can set their favorite clips – movie or music videos as their call screens for video ringtones. This app assigns screens in two methods – for groups and for individuals. Therefore, users can assign different individual images for each caller or they can go with assigning a common image to a group, like say a one for mates from school, one for colleagues, family and so on. You get the idea, right? In my opinion, the customization RingSkin offers for call screens should be default in Android, so as to speak as it also helps users deal with spam callers as it has block-call capability. The UI is well designed and easy-to-use. This app really adds a vibrant touch to the screen while making and receiving calls. However, the ‘Skins’ area would have been a great one if the developers had included some interesting video clips. 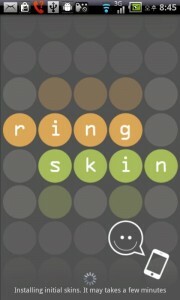 The best part is that RingSkin is available for free and requires Android 2.1 or up. There is a pro version for the app, which you can get without coughing up anything additional, by just clicking on the ads and earning 400 points! You can see the ads in the ‘Settings’ option and if you want to check out the pro version of RingSkin click the ads! 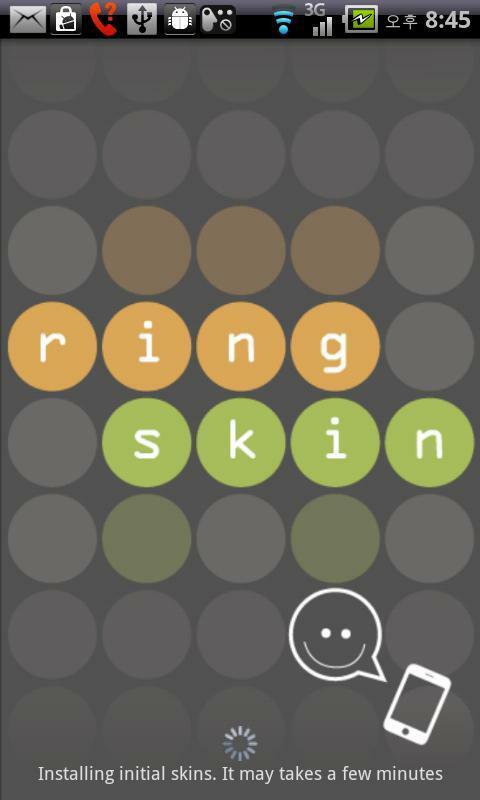 You can download RingSkin from the Android Market for free. After my recent post on how to be a smart online buyer, I thought why just help people get a good priced product, as a good price doesn’t always mean good value. As a laptop is something most people probably buy online, and as it is also something that often costs a lot of money, I thought why not help people choose which is best for them. Maybe in the future I will do the same for mobile phones, digital cameras and who knows what else! The main thing you have to work out is what is the laptop going to be used for? Do you need something that can cope with 3D HD gaming, or are we just looking at text editing, emails and the web? The more you want to be able to do with your laptop, the greater ability it will need to have, meaning that it is more likely to need a higher spec, and therefore probably a more costly speck. If most of the stuff you do is online, then you probably don’t need a very high spec laptop – just a good internet connection. If you laptop is mainly used for blogging using an online system like WordPress, Blogger or TypePad, playing your favourite online games, typing emails using an online webmail service, and socialising using Facebook and Twitter (I should point out other social media sites are available ;-)) then you might want to look into Chromebooks – or low spec laptops. Google says that Chromebooks are ‘nothing but the web.’ They run a 100% cloud based operating system, meaning that all your data, settings etc. are stored online, safe and secure in the cloud. This means they only take secconds (literally 8 or 9) to boot up, meaning you are off and working/playing in an instant. Chromebooks are very fast as they need no virus protection, have no background processes slowing them down, neither does it need updates, since all of that happens in the cloud, basically everything runs from the browser. If you don’t want a Chromebook, you probably only need a really low spec laptop, so that could be very cheap. Regarding operating system, if you like pretty styles, then go for Windows7, as that it stable and also ‘looks good’ avoid Vista, especially on low spec laptops, as it can really slow them down – XP and 2000 are also good. If you are looking for a typical family laptop, where some of the kids will want to play flash games, but they will also need to do their homework, and the adults want to be able to check their emails and social profiles for updates, then you are probably going to be looking for a pretty standard PC. To make sure it is quick and doesn’t slow down you would probably benefit from a dual-core processor. Dual-core means that the computer possess more than one CPU. Extra CPU’s means that you can process data faster, therefore your laptop will run quicker. In order for your extra CPU’s to be effective, it would be a good idea to have at least 1 gigabyte (gb) of RAM, and preferably 2. Windows7 would be perfect for family usage, as would XP. 2000 may look and feel a little dated, and Vista is likely to cause you a lot of grief! If you like to have a lot open, and often are found editing photos, playing CPU intensive games, and watching HD videos, then you probably need a pretty powerful processor, along with a decent sized hard disk, a good amount of RAM, and a dedicated graphics card. Screen display resolution is also likely to be important, as if you like HD, but have only a standard screen, you can’t display HD. 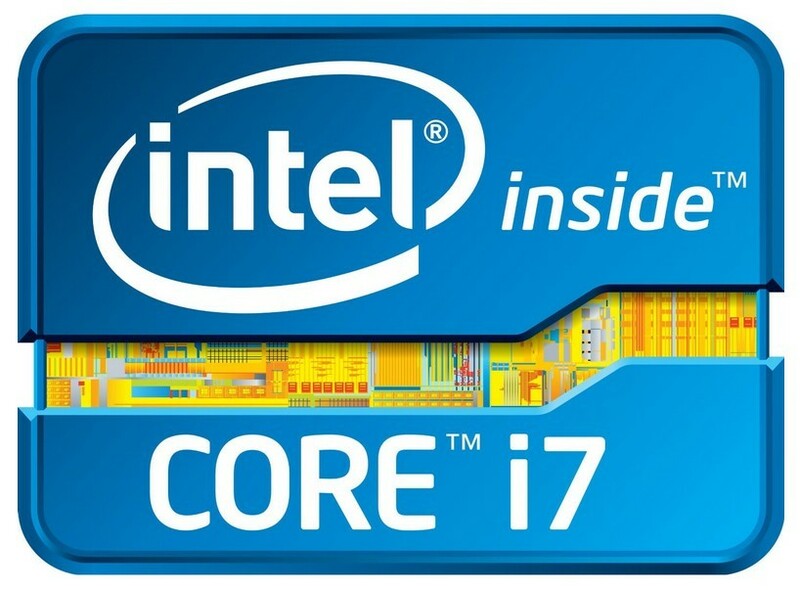 Intel make a type of processor called i3 and another called i5. These are very well designed processors and run very well. If you see i3 or i5 on a PC, it is probably going to be a good one. Photo editing and gaming can be very hard disk space hungry tasks, so I would recommend getting at least a 250gb (preferably a 360gb) hard disk. With a laptop, short of getting an external hard drive, there is no easy way of expanding the amount of space you have. This type of user would benefit best from 4gb of RAM, and a dedicated graphics card – this basically means that the graphics card is a separate component within the PC, which has it’s only memory and processing unit. I do all of the above and more, and I do it all at the same time! If you can never seem to find a laptop that is powerful enough for you there are a few options available to you – sadly, they area all rather expensive ones! The first would be to get a powerful MacBook. MacBooks are notorious for their high specs, stable operating systems and therefore lack of time spent loading. 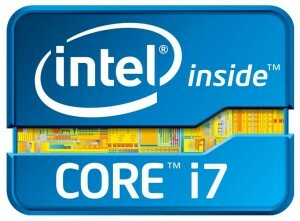 The second would to be to buy a quad-core i7 spec laptop. Most MacBooks run off core i5 and i7 processors anyway, however Windows also performs very well when being run on a core i7 machine. A dedicated graphics card is a must for this type of user, and 4-8 gig of RAM is recommended. Depending on how long you want to keep your laptop will determine how big your hard disk will need to be. My advice would be that if you are likely to want to keep the same laptop for any more that 4 or 5 years, get a terabyte hard disk. Another option would be to have a custom built laptop. These can sometimes work out cheaper, but you need to be cautious, as if you, or whoever is building the laptop aren’t 100% sure of what’s what, then you could face compatibility issues. Certain processors work better with certain types of RAM, certain operating systems require certain types of graphics cards, and certain hard disks are needed in order to be compatible with the rest of the machine. Basically certain part of the laptop will naturally work well together, however if you custom build your laptop, you might have 8gb of RAM, but the problem is, your processor finds it hard to deal with that type of RAM. When choosing a laptop, it is also important to consider things like who it’s made by. Different firms have different reputations for the quality of their laptops, but also consider the quality of their customer service. If their automated calling systems drive you mad, then it may be wise not to buy one of their laptops. Furthermore, consider your other devices like cameras and phones when buying a new laptop. Some devices may not be compatible with your operating system, or you may need to get some new camera cables if your current devices can’t plug in to your new laptop. Connectivity is another important factor: does your laptop have inbuilt Bluetooth, Wi-Fi or infrared? If you are forever connecting to mobile Wi-Fi, or your phone to download pictures, then it would be useful to have such functions inbuilt. An inbuilt webcam and microphone can be very handy if you are often using programmes like Skype to talk to friends on the internet. Also don’t forget the battery. If you barely use your laptop when you are away from a plug, then the battery is probably not of much importance to you, however if your laptop battery is important to you, you may want to avoid second hand laptops. Laptop batteries from second hand machines can often be less powerful and last less time than a normal battery would. Getting the right laptop for you can be crucial in making sure that you get value for money, as a laptop with spare capacity is a waste of money, as is a laptop that cannot perform to the standard you need.